What is the inspiration behind Everly&apos;s unique concept? We wanted to design a space that was a comfortable neighborhood spot for all-day dining -- Everly is a sun-filled, bright room for brunch, lunch, or coffee, and it&apos;s low lit at night for dinner and drinks. It&apos;s nice to provide a diverse range of experiences. Fewer people are required to spend their days inside an office, and for many, restaurants are meeting and workspaces as well. The all-day format gives us the opportunity to become a fixture in our community at all times of the day. We have a 35 seat covered outdoor seating area, the first and only large full-service outdoor seating area in the Monroe Street neighborhood. The feel of the space influenced our menu, which offers a little something for everyone. We like to say we&apos;re bacon serving but vegan-friendly, attuned to what Madison diners are craving. We have a great burger, pastas, sandwiches, and lots of tasty vegetarian and vegan items, too. What specials/happy hours do you offer during the week? We offer happy hour Monday through Friday, from 2:30–6:30 p.m. In a recent online customer review, Everly was described as a "go-to", "favorite", and had the following quote: "Everly gets it right on all counts: a straightforward diverse menu with innovations (not gimmicks or bizarre twists) on new American and classic fare; an understated bright and open environment; food well prepared and presented; and sterling attention to service." I think this highlights everything we&apos;re proud of about Everly. What is your most popular cocktail and food item on the menu? We love the GMCVB because they bring tourists, conventions, and sport events to Madison, and our restaurant relies on those added customers. They also connect us to private event clients and help with media relations. Hinckley Productions creates dynamic online video content and specializes in live streaming for event production including unsurpassed live broadcast expertise of conference, concert, and sporting events. We help people make smarter, more informed decisions about one of life’s largest investments. 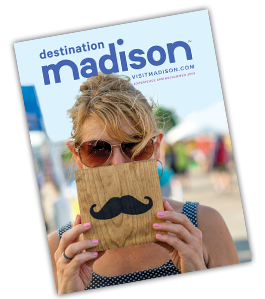 Check out our I Love Madison website and podcast to get connected and thrive in Madison. 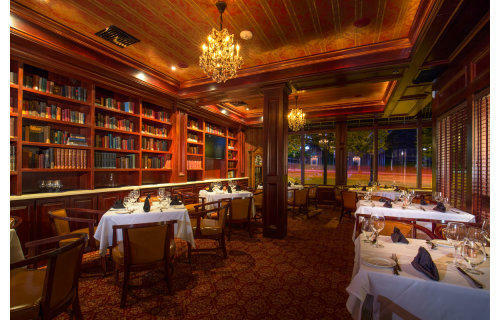 Created by Wisconsin natives for Wisconsin diners, Rare features USDA Prime steaks aged in-house, certified sommeliers to guide guests in choosing from a selection of more than 750 wines, and truly remarkable service overall. 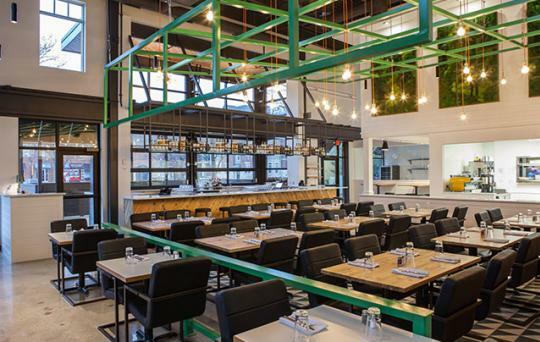 Serving from two food carts and a restaurant, Banzo features award-winning falafel and freshly-made Mediterranean dishes such as hummus and tabouli. Our menu also offers vegetarian options, soups, salads, and desserts. Best Western West Towne Suites offers one room to fulfill your meeting needs. Enjoy climate-controlled settings, ample electrical wiring, and Wi-Fi. Catering is available upon request and room rate can be discounted if there are group bookings of 15 or more. Led by Maestro Andrew Sewell, the Wisconsin Chamber Orchestra is a vibrant professional orchestra performing year-round including Concerts on the Square, Masterworks, Holiday Pops, and Messiah and youth concerts. Host your event overlooking the Capitol Square. All-new in 2016, Park Hotel offers multiple options for flexible meeting space for 5 to 500. Madison’s most renowned event space – Top of the Park – will create the wow factor you’re looking for. Choose the Park Hotel for professional service and a memorable experience.